On Tap: 903 Brewers’ Kilt Switch. 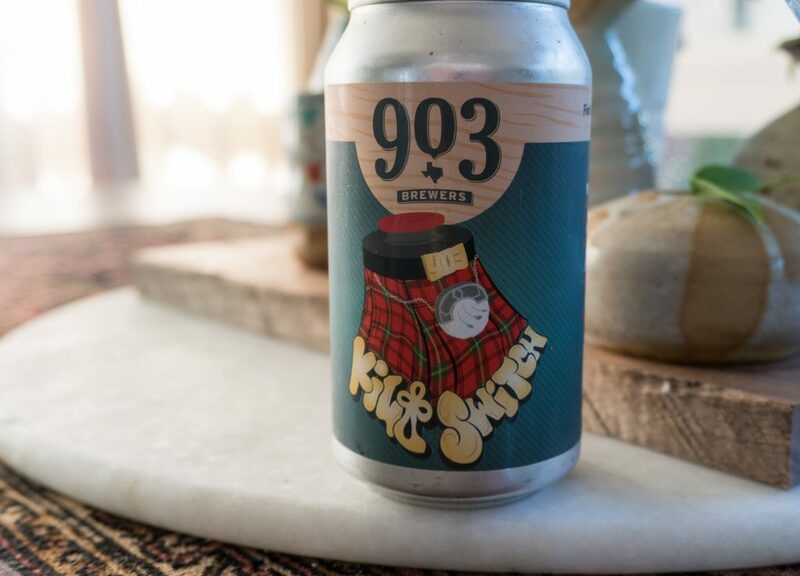 903 Brewers Goes Massive With Its Wee Heavy Brew, Kilt Switch. But Beyond Its High ABV And Clear Sweetness, Is There Much Going On Here? 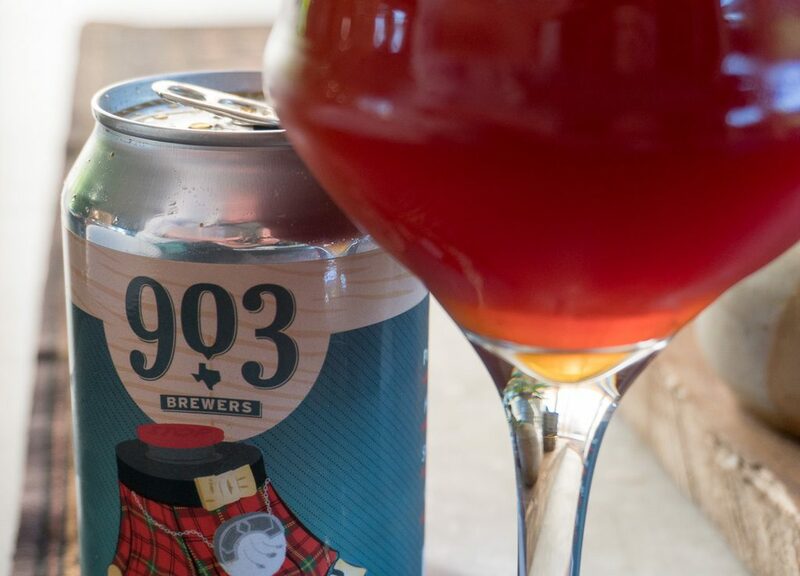 This week, we sipped on 903 Brewers’ Kilt Switch. Fast Facts on 903 Brewers Kilt Switch. Style: Wee Heavy (Strong Scotch Ale). Ah, the wee heavy. It’s a style that I almost never drink, and yet, here I am trying it out in the dog days of summer. This style typically requires a helmet, and it demands respectful, slow sipping. 903 Brewers is a brewery that doesn’t shy away from some larger beers, and it has been nailing it lately with its bigger beers. So I’m confident that Kilt Switch will follow suit. Will it? Let’s see! The Wee Heavy (or Strong Scotch Ale as it’s also known) comes to us from high-gravity historical strong ales from the Scotland. Historically speaking, brewers used to brew more than one beer from the same batch of grains: a strong ale, and a smaller table beer. The Wee Heavy represents that higher-gravity first batch runs from the parti-gyle process. 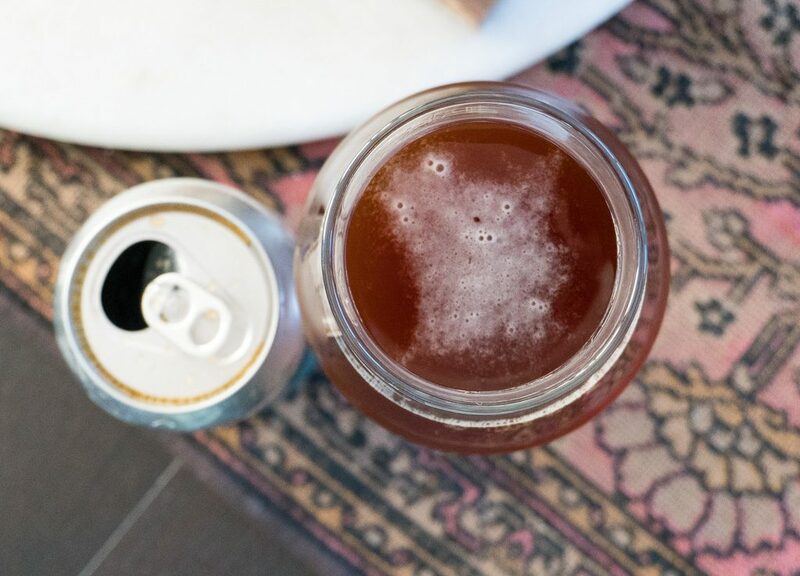 This style is rich, malty and caramel-y sweet. 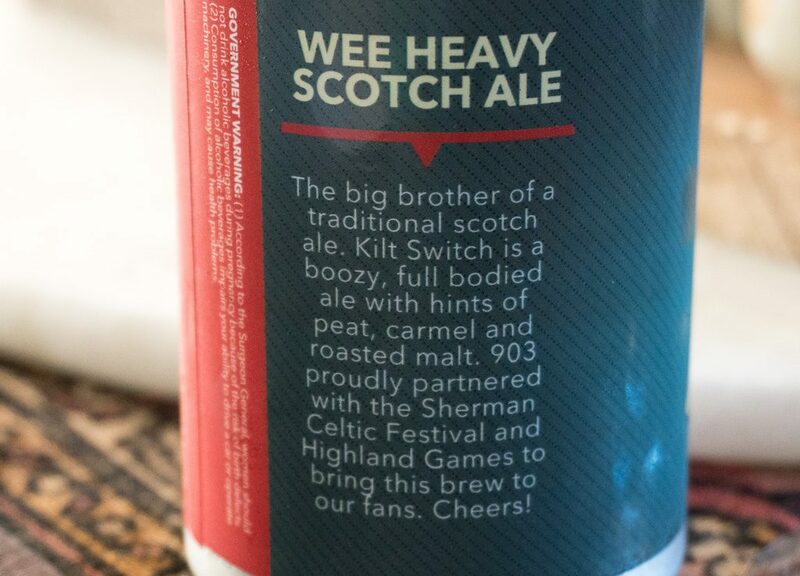 Some people might even think of the Wee Heavy as a dessert-style beer. And while this is a massively-boozy brew with plenty of residual sugar on the finish, it shouldn’t taste cloyingly sweet or overpowering. Alcohol notes and are warming sensation are commonplace, and this trait helps balance out the large grain bill’s sweetness. 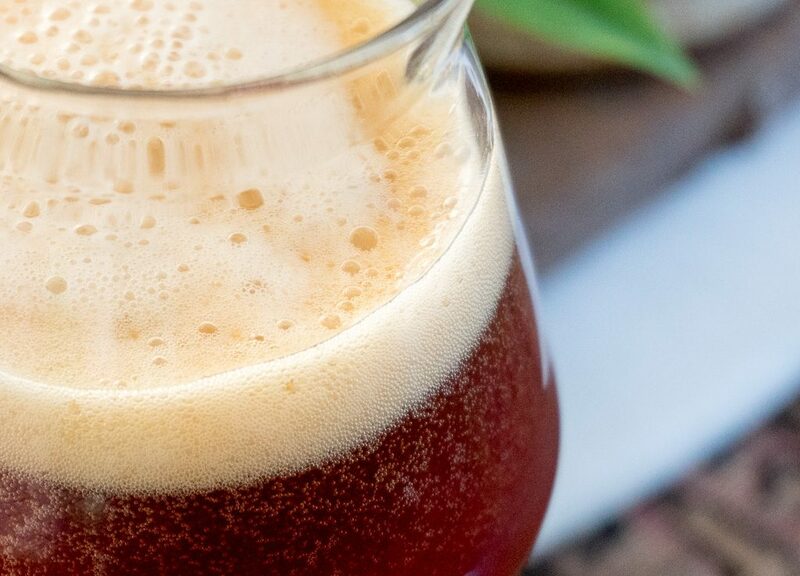 Hops are not the star of the show on this beer; they should remain in the background and they provide little balance on this style – after all, it’s all about the malt here. Normal ABV for the style ranges from 6.5 percent to 10 percent. From a grain bill perspective, pale malts are used as the base malt, and then crystal malts add body, and roasted barley for color. A hint of smoke can be present on this style from the boil itself or from the highly-kilned malts. One note that the BJCP guidelines state explicitly is that peated malt, though used sometimes, is not traditional to the style. Kilt Switch pours a deep reddish copper color into the glass. I see a nice layer of foam here, and it looks delicious. Clarity is so-so on this beer. It was brilliantly clear through the first half of the pour, but the last bits clouded up the beer a bit. At first, I get a massive caramel sweetness on the nose, and then the boozy warming aroma floods my nostrils. Kilt Switch does have a dessert thing going on, except with an additional hint of something herbal and peaty. I also notice some plum and dates on the nose here. The hop aroma is very low, with nothing much doing. All in all, the aroma is tip-top here and I can’t wait to dive in. Right off the bat, I get a tongue-tingle and warming sensation with Kilt Switch. It’s like a teeny tiny bit of instant coating and numbing on my tongue and it’s weirdly enjoyable. 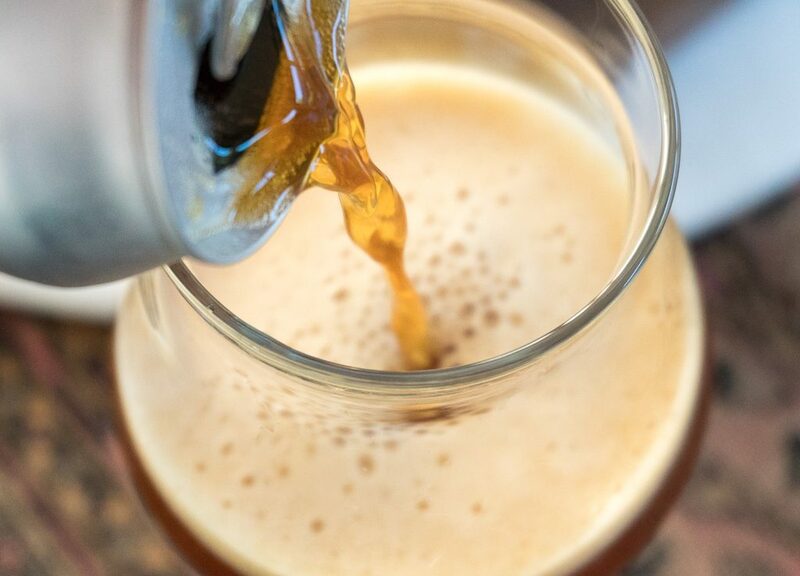 With a beer clocking in at 12.9 percent ABV, it’s rather tough to hide the booze. And Kilt Switch gives it a really good college try here. The immense malt bill has a large amount of non-fermentable sugar hanging around after fermentation, and it helps balance out the wallop and tingle from the warming alcohol. As I get about half-way through this beer, I can feel my face warming and the general annoyances of life fade away. The beer approaches being too cloyingly sweet for me, but I keep coming back for more. There’s no doubt that this is a very full-bodied brew. It asks me to take my time with it. Any quicker and I might approach sugar-and-booze overload, like the booze version of a brainfreeze. Carbonation is medium-high, and it provides extra tingle for the warming sensation that floods my tongue. Kilt Switch fills a spot in the North Texas craft scene that not a whole lot of other breweries will dare go – the high-alcohol Wee Heavy. So, props to 903 Brewers for rolling the dice! I think that this beer is a smaller portion type of beer, where you crack a can and split it 4 or 5 ways, or order it as a small pour at a bar. I’m having a tough time getting through the beer, but not for any flaws or off flavors. Make no mistake: This is a very good beer, it’s just a whole lot of sugar-and-flavored filled tiny sips to get through. On a scale of 1 to 10, I’d give 903 Brewers Kilt Switch a 7.5. • Martin House’s Possum Kingdom Pilsner: 8.25. 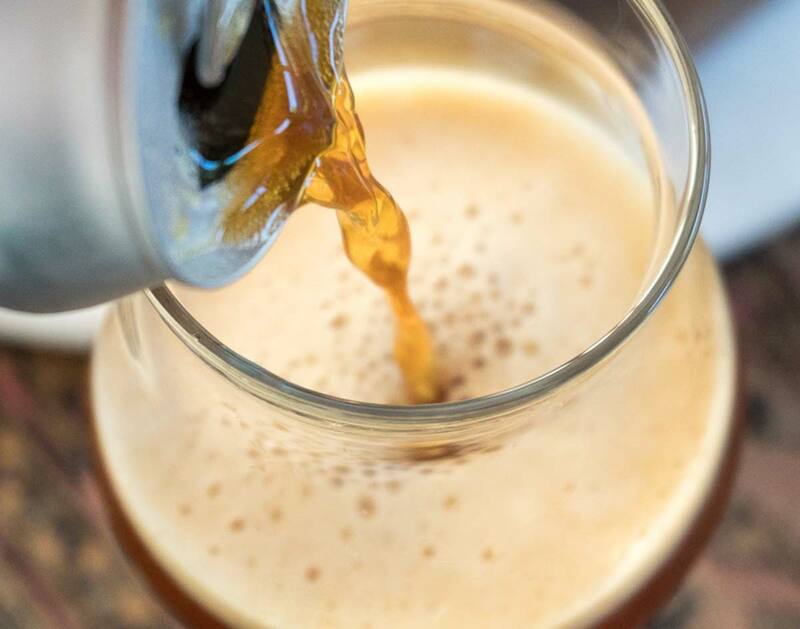 • Noble Rey Brewing Company’s Frooty Tang: 7.5. • Legal Draft Beer Company Free & Clear: 7.25. • Unlawful Assembly’s Public Dissent: 7. • Texas Ale Project’s Hawaiian Roadrunner: 6.75. • Whistle Post’s Shoofly Coconut Lime Ale: 6.75. • 3 Nations’ Lady Luck Horchata Ale: 4.5. • Good Neighbor Brews’ Slim Sweetness: 3. • Good Neighbor Brews’ O’Carrol’s Irish Red: 3. Previous ArticleThings To Do In Dallas On Thursday, July 5.